"Deployed" plays at the White River Junction VA Medical Center on March 30. Stories of female veterans from Vermont and New Hampshire will be on stage Saturday at the White River Junction Veterans Affairs Medical Center. Playwright Nicola Smith based the play, Deployed, on interviews with a diverse set of women, representing different generations and different branches of the military. She was struck by the women’s spirit and determination, she said, despite experiencing incredible challenges and, in some cases, trauma in the service. 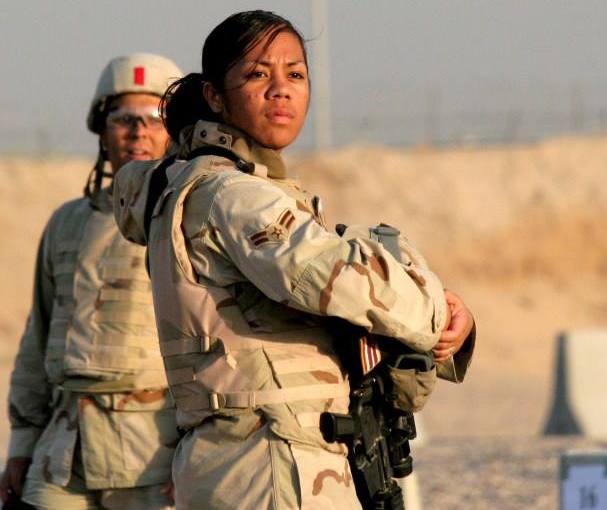 Too often the narrative around military service is focused on men, she said, while women’s stories fall to the wayside. The play, which will be read by actors, resonates strongly with modern themes, including recent news of ongoing discrimination and assault in the armed forces. "Some of these women put up with a lot -- a lot,” she said. “So, in that sense, I'm still shocked by what I hear, and yet unsurprised." She's hoping to take Deployed on the road after this first show in the Upper Valley. The performance begins at 1 p.m. It’s free of charge, but seats can be reserved through Northern Stage.